I hope you all had a lovely weekend. Not to be a whiny, but mine was spent nursing my very painful shoulder and I’m still doing so (whaa, whaa, I know!) but I do have some fun things to report in on, so I’m soldiering through! Clearly, I’m a terrible patient. I’m thrilled to share that I have been invited to attend BlogTour New Orleans with an elite group of interior design bloggers in April. 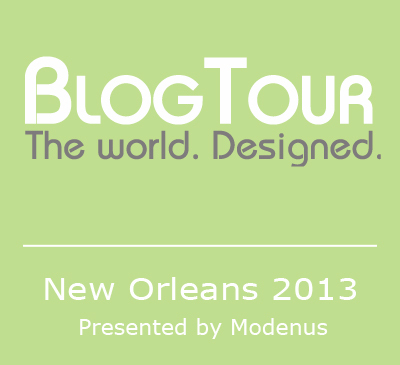 The great folks at Modenus have been organizing these fantastic blog trips for couple of years attending shows all around the world to places like London’s Design Week, New York’s Architectural Digest home show, and now this year to New Orleans and the Kitchen & Bath Industry Show (KBIS). I’m very excited about the wonderful group of bloggers I’ll be going with and will report back soon as to who they are and what we will be doing! But before New Orleans I will be teaching a class in March at the my alma mater the Boston Architectural College: Social Media: Branding Your Expertise, Vision and Voice March 25, 2013 5:30-8:00pm Click here for more information and registration. I’ve been working on some very interesting projects recently including a West Coast oceanfront new construction home and East Coast beachfront vacation home. 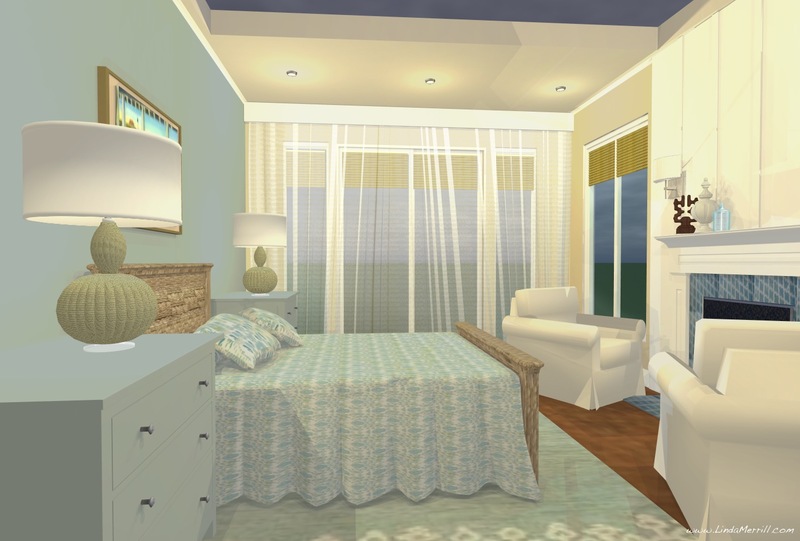 I wanted to share a little bit of each – the photo above is my digital rendering of the California oceanfront house whose inspiration is taken from everyone’s favorite design movie “Somethings Gotta Give” only with a casual west coast vibe. 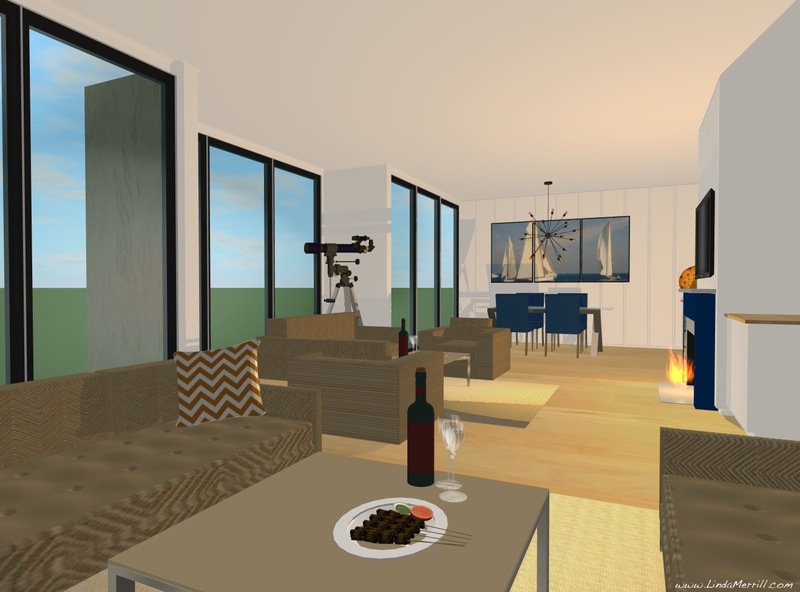 And the image above is my digital rendering of the East Coast vacation home. We chosen all neutral pallet that is modern and clean lined yet still comfortable. You can view my Pinterest boards for the projects here : East Coast and West Coast. I’d love to hear your thoughts on both.